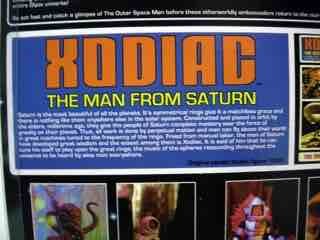 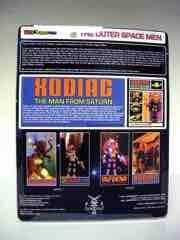 The first version of Xodiac, the Man from Saturn was a large, bendable figure with accordion joints and a wire armature. 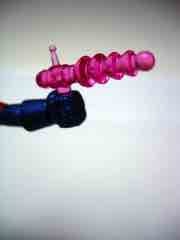 This one? 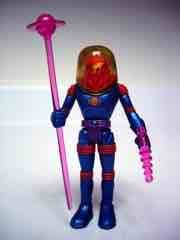 Action figure. 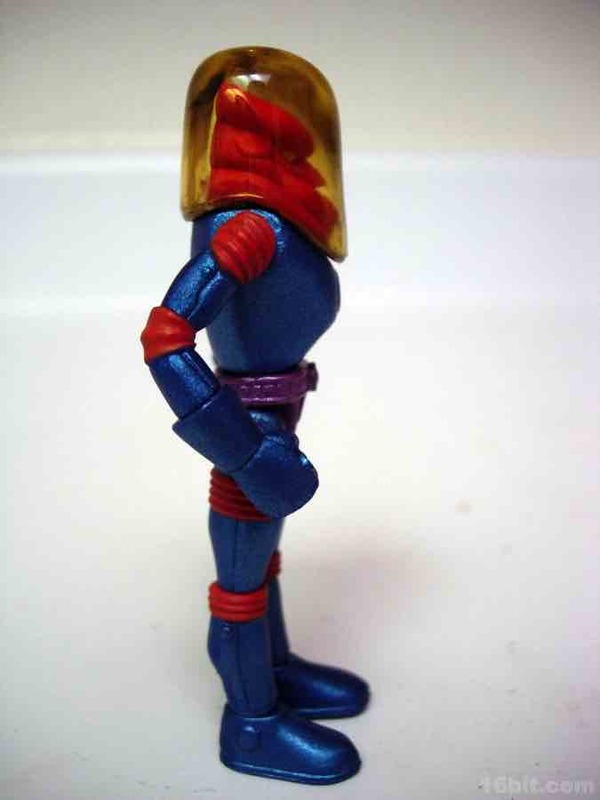 The "accordion joints" are merely decorative, and the figure is nicely jointed at 12 locations-- although it's worth noting that this head will not turn due to its shape relative to the body. 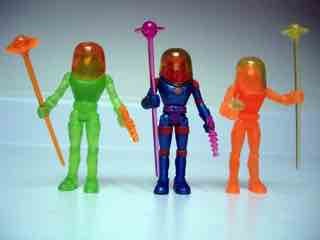 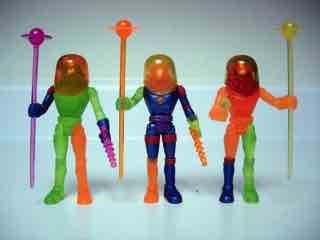 The figure designs were born out of the 1960s, when we knew a lot less about space (and science fiction) than we do now. The creators of these figures pegged this one as a space super-genius musician, which I assume means that the "beard" is probably representative of some specific scientist or musician which doesn't translate to younger, less-informed eyes. The figure's suit is molded in blue but is painted with a metallic paint that really makes it pop, but be careful as a lot of these gorgeous metallic paints weren't designed to stand up to heavy play or moderate space travel. 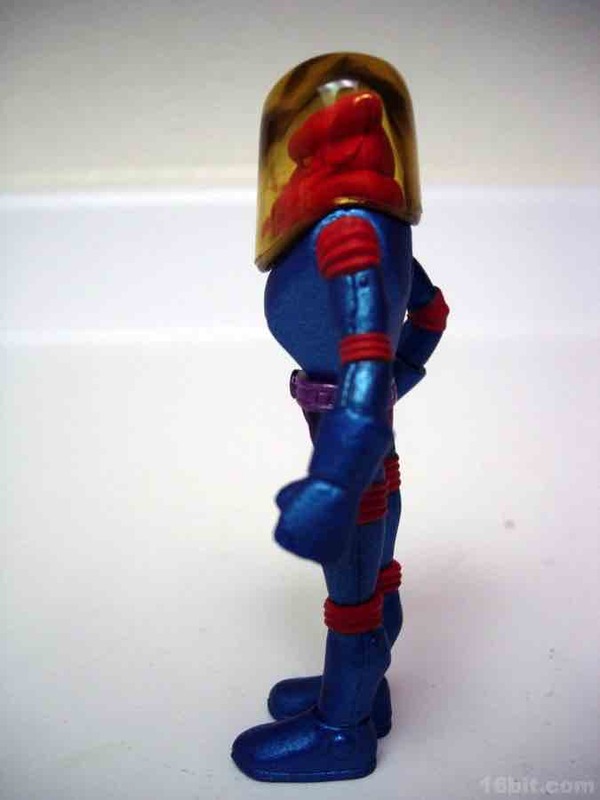 He has no problems standing or sitting, and the figure's design is pretty closely in line with how a lot of 1970s figures were constructed. 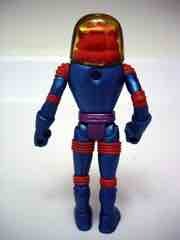 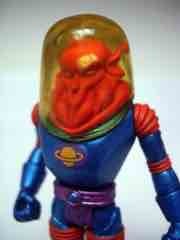 If you want to pop him in the Fisher-Price Alpha Star or maybe the Kenner CAP-2, it should fit just fine. As with the other figures in the line, it's an elegant and stylized design rather than one swimming in wrinkles, blood, and bizarre textures. The Four Horsemen opted to go with retro instead of hyper-detailed, and the figure is all the better for it. 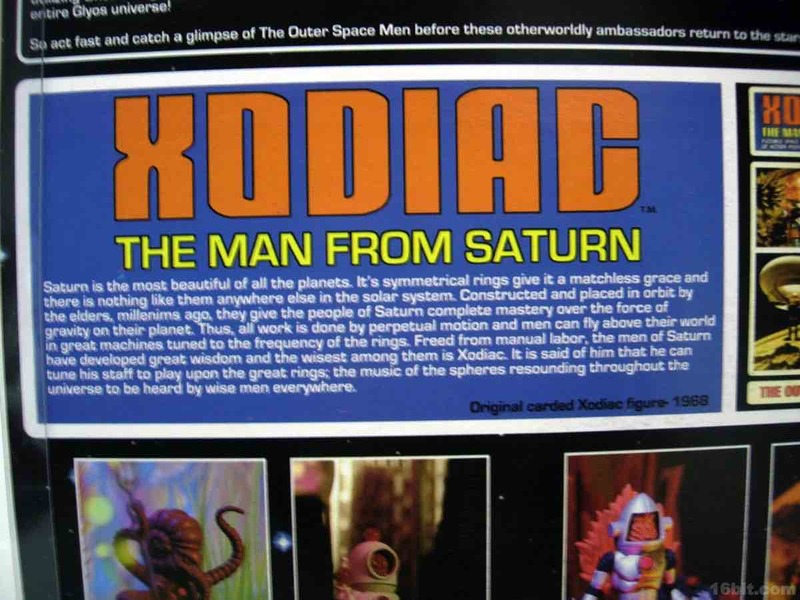 I particularly enjoy the elements they kept from the original like the Saturn symbol on his chest, which should remind him where he needs to go if he gets lost. 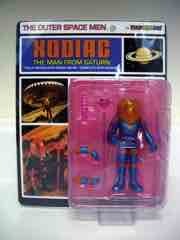 Also Saturn-on-a-stick, that's useful for remembering where "home" is too. When you break it down, this is a ridiculous design, but it's really appealing and was born to be a toy. In a movie or nearly any other context, this is just a silly alien with a weird head that looks like it's in the middle of throwing up while melting. As a toy, it's just a nifty creature from beyond the asteroid belt and you really don't have to explain it-- you can just enjoy it for its bizarre, pointy-eared, fat roll-necked splendor. 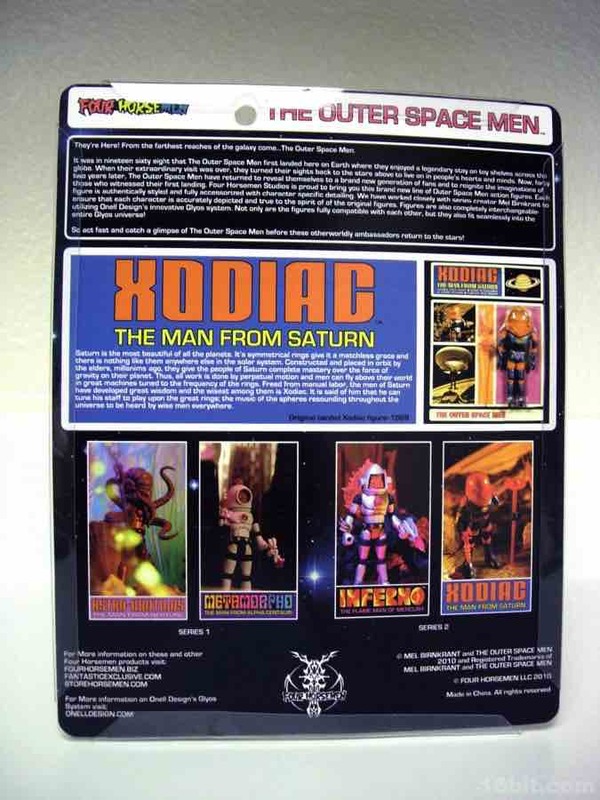 Multiple versions of Xodiac were produced with this mold-- July 2010 saw an orange release, October 2010 saw the green version, this version hit in December 2010 and a clear version with either silver or gold accessories (depending on the luck of the draw) hit a few days after this version. Nice stuff. 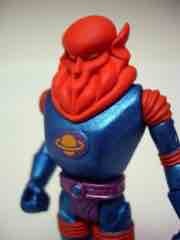 The carded figure looks great, and the loose figure is fun to play with. 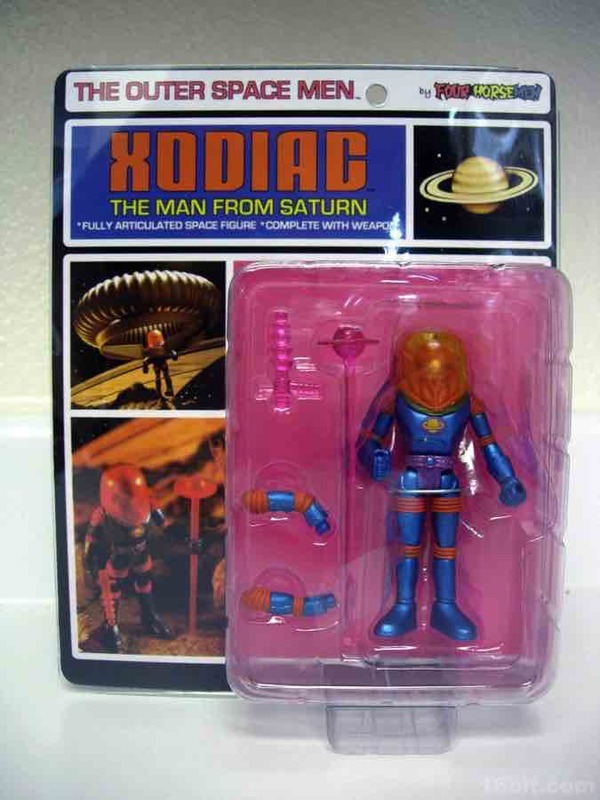 The product's only real shortcoming was the decision to market it as a collectible for ages 15 and up-- the construction play and colorful design would probably have been lots of fun for kids, assuming the reality of science and the solar system didn't bog down the fun of playing with a weird, cool alien being.